Cute cartoon frogs on lily pads. 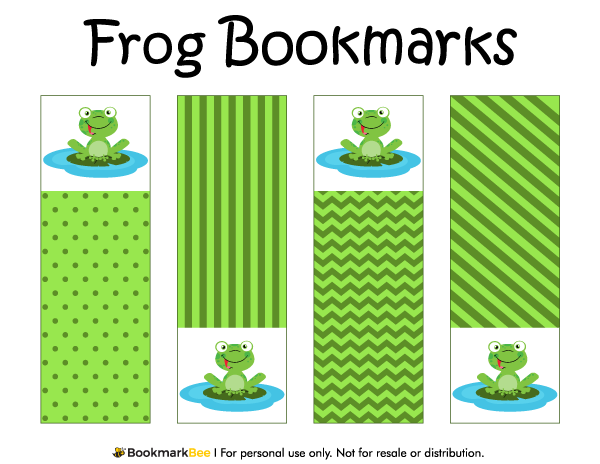 The rest of the bookmark features monochrome green patterns including polka dots, stripes, and more. Download a free version of this bookmark below. Note that the free version includes a watermark on each bookmark, but we do offer a bundle of all bookmarks without the watermark.